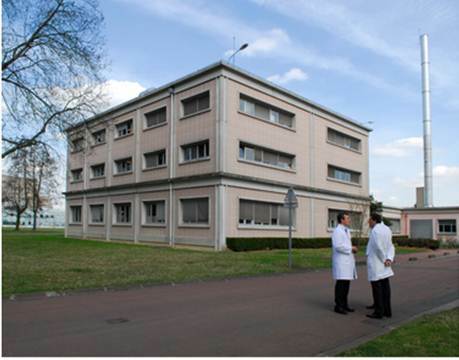 Euriso-top, a wholly owned subsidiary of Cambridge Isotope Laboratories, Inc. (CIL), was founded in January 1991 by a group of researchers from the Commissariat à l’Energie Atomique (CEA). Since its acquisition by CIL in 2001, Euriso-top has become a leading producer of deuterated solvents and is the leading supplier of stable isotope-labelled compounds in Europe. Euriso-top has a catalog of more than 15,000 chemical compounds covering various fields of application, including proteomics and genomic research, biotechnology discovery, organic synthesis, and pharmaceutical development, as well as manufacturing. We supply the scientific community with stable isotope-labelled chemicals (many of which are produced by Cambridge Isotope Laboratories, Inc.), as well as isotopic gases, NMR solvents, isotopic metals, and clinical trials substrates. Euriso-top’s team continuously strives to provide customers with high-quality products with a comprehensive product offering. Quality control and production laboratories are equipped with high-performance analytical and spectroscopic instruments and follow rigorous manufacturing procedures. We also take great pride in our history of exceptional customer service. For specific requirements, our experts will assist you through the process: from the identification of your needs (design of the requested molecule) to after-sales service (technical support).